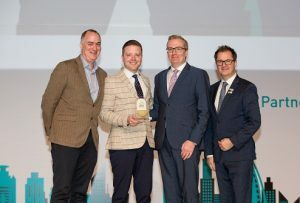 ICCA announced VisitScotland Business Events as the winner of this year’s prestigious ICCA Best Marketing Award at the Closing Ceremony of the 57th ICCA Congress on Wednesday 14 November 2018 in Dubai, United Arab Emirates. VisitScotland Business Events impressed the judges and ICCA Congress delegates with their campaign’s unique mobilisation of online storytelling and focus on impact beyond immediate financial return. Congratulations also go out to the other two finalists of the ICCA Best Marketing Award 2018: The Hague Convention Bureau and Serbian Convention Bureau. All three finalists were put through their paces during a detailed evaluation by an expert panel which included past winners, competing in front of a live audience made up of industry colleagues and competitors during a dedicated plenary session at the ICCA Congress in Dubai yesterday. Each finalist had fifteen minutes to convince the judges and audience before final voting began. VisitScotland’s digital campaign, “Scotland Where Ideas Become Legend”, was designed to distinguish Scotland as a unique destination for international association meetings with opportunities for associations across multiple disciplines. VisitScotland’s ongoing social media campaign #IdeasBecomeLegend unifies participating organisations from inside and outside the country’s business events industry under a single national message: Scotland contributes to shaping the modern world. Showcasing Scottish innovation in 12 sectors, the participating cities and regions have a dedicated week to issue content showcasing their strengths in each sector and what they have to offer to international associations. 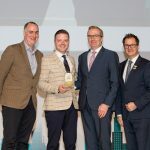 The Best Marketing Award session has become one of the most eagerly anticipated highlights of each year’s ICCA Congress, with the winner traditionally announced during the Closing Ceremony. The ICCA Best Marketing Award, established in 1997, recognises the excellence and outstanding achievements of organisations in their effort to market their destination or product. Entries are open to ICCA members from all sectors and geographical regions and are diverse in content: submissions can range from full scale campaigns and branding exercises to individual promotions and events. The ICCA Best Marketing Award is sponsored by The Meetings Show. The 2018 ICCA Congress was the biggest ICCA Congress ever held outside Europe, with 1,156 attendees from 79 countries travelling to Dubai for the event.